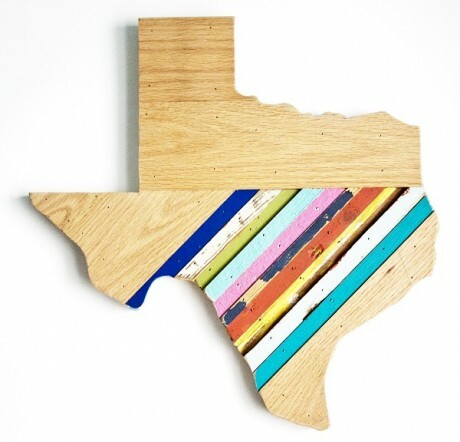 This original wall hanging from Austin-based Hemlock & Heather is handcrafted from wood pieces rescued by the artists. The exclusive Texas Highways design is 20 inches. Each numbered wall hanging is signed by the artists and comes with a personal note.